There is a lot of free information here, more than is apparent from looking just at this top-level page. For an overview, try the What's here link, it is a good place to get started. 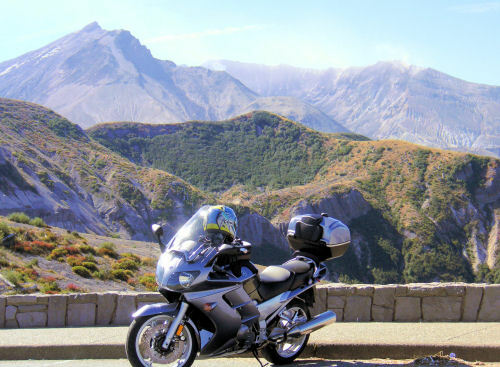 The most popular parts of this Website are the Motorcycle Registries (with roughly 29,000 entries listing the good and bad features, problems, modifications, etc. for over a hundred models of motorcycles) and the Motorcycle Yellow Pages with addresses and phone numbers for roughly 3,700 motorcycle-oriented businesses around the world. Updated every day or two. The real claim-to-fame for micapeak.com, though, is the 70+ motorcycle oriented mailing lists that we run for free. Micapeak never sends SPAM, and we do our best to filter out incoming spam and prevent it from contaminating our mailing lists. We currently average receiving and (mainly) sending about 4-5 million pieces of email every month. We also host (virtually) a number of other motorcycle oriented Websites -- see the links to the right. The most popular by far are the WMRRA.com motorcycle roadracing site, the Yamaha FJR1300.info site and WetLeather.com, a Pacific Northwest social/motorcycling community. Micapeak.com is owned by H Marc Lewis, and operated by him and Carl Paukstis (who is the resident Email Magician™ and Linux Guru).